Back to School Month in August gears up parents and kids with going back to school . -With “play for a purpose” being a popular buzz phrase within the toy industry, more toy companies are developing games that are engaging and educational, while still being fun. 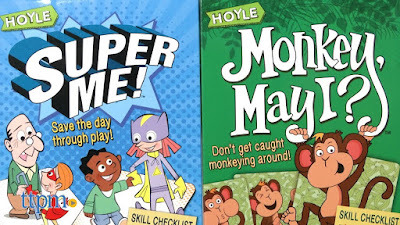 Hoyle is helping drive this trend through their two new card games, Super Me! and Monkey May I?, which help promote emotional intelligence, self-awareness and empathy in children ages 4-6. 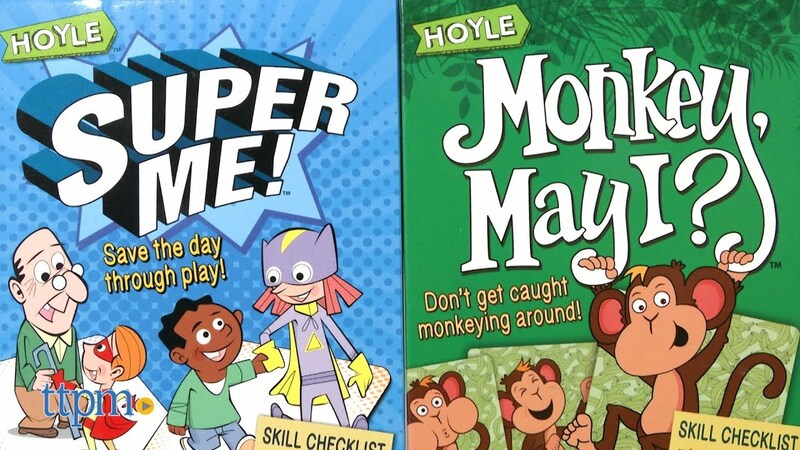 With simple instructions and fun themes, these games are the perfect back to school activity. The games are available now, giving parents or teachers plenty of time to pick up a few sets before the start of the school year! *Watch for more Back To School ideas coming soon!